Imagine doubling or tripling the size of your business in a year. Picture the moment you rise above your competition by landing that big contract promising a 40 percent increase to your gross revenue. Take a minute, live in the moment, and revel in the exhilaration of it all. Pop! That’s the sound of your balloon suddenly bursting and the joyous high quickly deflating — replaced with the bumps and bruises of growing pains from your fall back to earth. For small businesses, the overwhelming realization of delivering on those “big” opportunities can become a mountain of weight on your shoulders, a ball of nerves in the tummy, and a huge amount of guilt knowing there will be a loss of time from your loved ones. Letting go of certain aspects of the business is extremely challenging, mainly because you have so much riding on the success of the business. There’s a lot at stake. But, let’s face it. You aren’t a superhero, and you don’t know everything. I can’t tell you how many times I’ve heard from a business owner: “You don’t know, what you don’t know.” But, this is not a bad thing. This is actually a very good space for you to be in. Learn to focus on the important things, and hire others to focus on the things that aren’t in your top five priorities. Goldman Sachs 10,000 Small Businesses: Cohort 2. Finding an experienced mentor to help guide you on your growth journey is key. Make sure they “get” what you do and have a good understanding of small business. Don’t be afraid to look outside of your industry. Make sure they don’t always agree with you and that the relationship is reciprocal. Experience from 10,000 Small Businesses has taught me that some of the best peer-to-peer learning happens between small business owners not in the same industry, age group, gender, or even revenue space. Those differences can actually elevate your mentoring experience and challenge your thinking. Making the right hire for small business owners is vital to business growth, but finding a skilled workforce is extremely challenging these days. Many candidates lack the [right] skill set, and salary requirements for skilled workers are rising. Despite these challenges, I urge you not to settle. Don’t hire someone just because you’re desperate for a body. Instead, focus on not only what the job requires and the skills necessary, but also evaluate what personality characteristics the position requires. Know what works well within your company culture. There are many variables to finding the right mix. For one alumnus who owns a language training company, finding the right hire can be exceptionally difficult. Resumes of candidates who speak several different languages come across her desk daily, but just because they can speak multiple languages doesn’t automatically translate into the ability to teach them. Those are two very different things and doesn’t necessarily make a good hire. That’s why when hiring I suggest making a list of “must” skill requirements — no more than three. The remaining skills or personality characteristics are considered wants or preferences. Be prepared to know which of those variable skill sets you can live without. It’s not glamorous, it’s not pretty, but it’s what makes the machine run so smoothly. Even if you have a small staff you have to document your business processes. What if a game-changing opportunity suddenly landed in your lap and you had to hire new staff members in a pinch, but you didn’t have documented processes? Would you suddenly be surrounded by chaos? The answer is yes, and nothing sinks a growth opportunity faster. When this happens it can certainly impact your recovery time and service delivery. That’s why it’s critical to document, document, document! Goldman Sachs 10,000 Small Businesses: Cohort 5. This is BIG! Not every opportunity should be taken. Don’t be blinded by the big dollars on the contract. Dig into the deliverables to truly understand what it will take. Be realistic to the time commitment, and the requirements of the job. Think through each piece to know that it can actually be done, and what the cost might be. Nothing is more disheartening after the job is done than to realize that an ever-so-promising opportunity actually gave you no real profit, hurt your business reputation, and took a toll on your personal life. 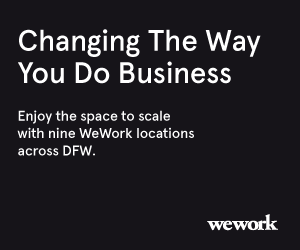 There are many different businesses in the Dallas-Fort Worth area and regardless of industry and size, there are fundamentals that challenge us all. Some more than others. Make sure as a leader you are prepared and equipped for growth. “ Being in fast growth is like running an obstacle course: Sometimes you jump, sometimes you belly crawl, and sometimes you get the team together to scale a wall. There is not a constant right answer, but you must be a strong leader that can evolve with diverse challenges and adapt to the personalities of your ever-changing team,” Gadberry said. Informative and very helpful article from some local super star business owners!